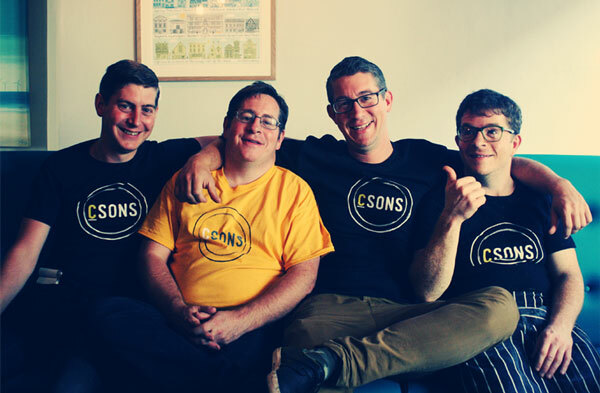 CSONS is a truly family affair. We are four brothers (SONS); Reuben, Adam, Ben and Josh, surname Crouch (C). Our passion for food has been with us since our early years when Dad’s work took us all over the world and we experienced the excitement and diversity of global food and drink. We’ve all followed our own journey through the world of food and CSONS is the culmination of over half a century of combined experience. If I had to eat 1 thing for the rest of my life: Super fresh BBQ’d seafood, Kalamata olive oil, garlic, lots of fresh herbs, chilli with a side of Lane Cottage leaves! Coffee of Choice: Double Espresso. Poison: Hobsons Best Bitter obviously, but quite partial to a damson gin and full bodied red! If I had to eat 1 thing for the rest of my life: I don’t think I could get bored of Curry, I love a Lamb Korai! Coffee of Choice: Flat White. Poison: Big glass of Argentinian Malbec. If I had to eat 1 thing for the rest of my life: Sushi or ceviche and sticky toffee pudding for desert with extra clotted cream. Poison: Local brews and homemade Liquor! When we came across 8 Milk Street we instantly saw the potential. This Grade II listed 16th century building was once, a long time ago, the Sun Tavern and is awash with beautiful features. These include Tudor wall panelling, a 17th century staircase with moulded rail and turned balusters and a quirky ornate over mantel with tracery and scalloped decoration above the fireplace. We’ve transformed it into a light, airy and modern space, whilst being sensitive to the history of the building and allowing the character to take centre stage. We also support local artists and feature their work on our walls. We can seat around 60 people with additional space in the lovely courtyard garden that is a real sun trap in the summer. So what better way to enjoy Shrewsbury’s heritage than to relax at CSONS, enjoying a tea or coffee, something from the bar or a delicious breakfast, lunch or dinner.